For my second yarn review, I decided to talk about two things at once. A yarn – of course – and a wonderful way of discovering new yarns. I know you’re eager to know what this way is so I’ll talk about it first. 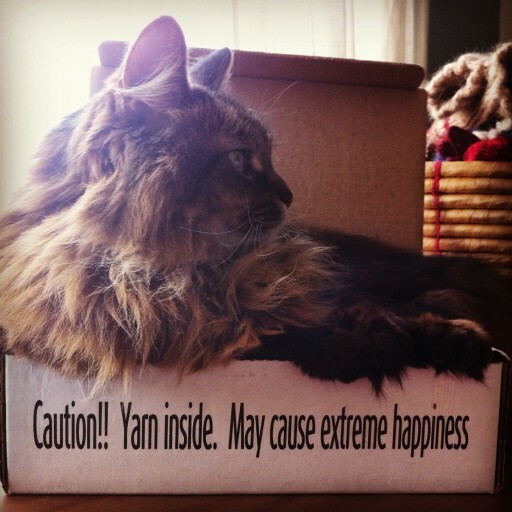 I recently subscribed to Yarnbox. It’s the perfect concept. You pay a fixed price in advance for one, three or six months, and every month you receive a box… a YARN box! In the box you’ll find two skeins of high quality yarn, sometimes two skeins of the same yarn, sometimes two different skeins in assorted colorways. You also get a knitting pattern and a crochet pattern, and occasionally they also add other small surprises. They make sure your box is always worth more than what you paid. Their yarns are carefully picked up from indie dyers. I had never heard of most of the yarns they had by the past so I know I’ll make wonderful discoveries. They also have an active community on Ravelry, where they share hints on next month yarns and where you can find people to trade with if you don’t like what you got. I love the yarn and Zazie loves the box! 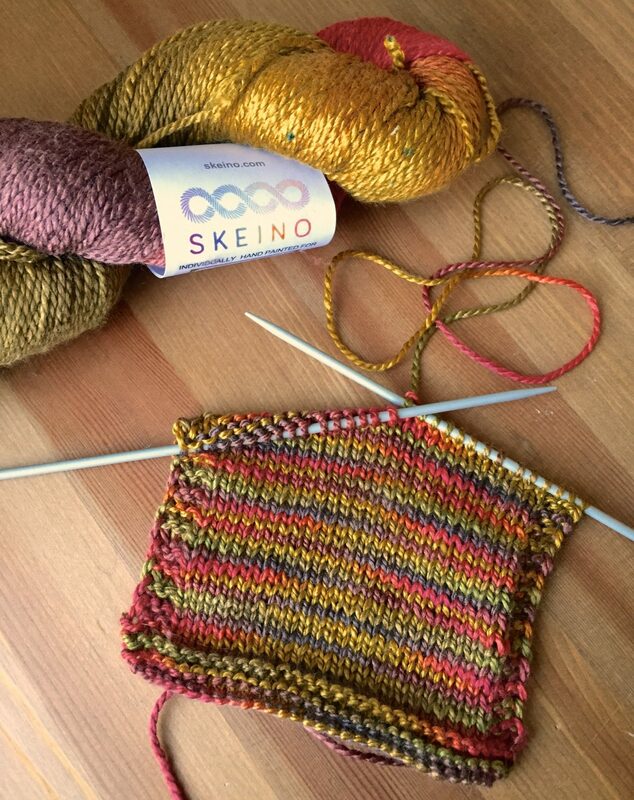 In March, the classical yarnbox included two skeins of a yarn properly named Splendid, made by the Florida based company Skeino where more than 50% of the employees are challenged or disabled in some way. I’m very touched by this kind of social involvement and companies who provide work to those who may have a hard time finding a job get all my respect. I’m sure their employees are more devoted to their work than we, lucky people who don’t have disabilities, sometimes are. In fact, it’s obvious they are giving all their hearts to the yarns when you see the product. Splendid is a 60% silk and 40% merino blend. It’s deliciously silky. 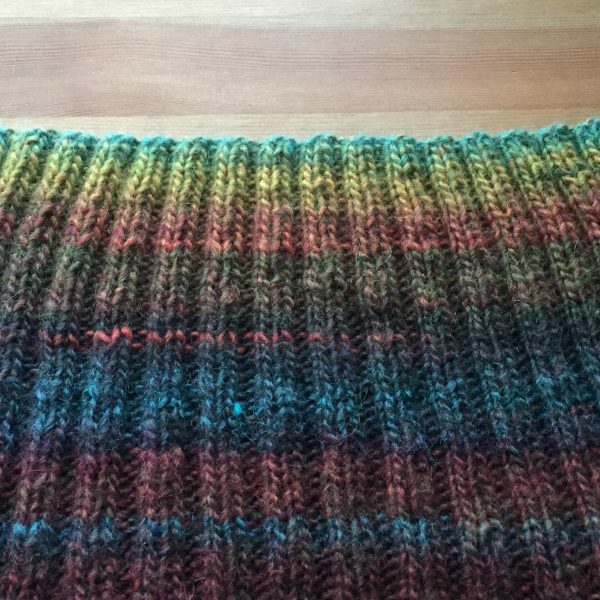 I touch the skein and I feel the luxury of the blend. It’s a DK weight yarn coming in generous skeins of 270 yards. It’s a very light yarn, meaning more yardage for the 3.5 oz skein. At $24.95 USD, I think it’s a good choice for a silk blend. The yarn is offered in 32 different colorways, all named upon famous operas. Yes, 32!!! All of them are variegated, most of them are highly variegated with mixes of very different colors. I must admit I’m not a fan of that much colors in the same skein but it’s a matter of taste. I got La Bohème which will be perfect for fall as it remains me so much of falling leaves and beautiful automn colors. 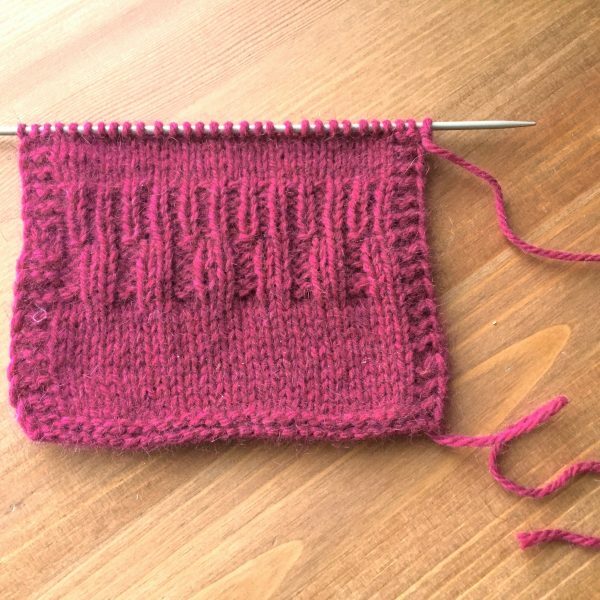 The stitch definition is great, giving me ideas of complex lace patterns. 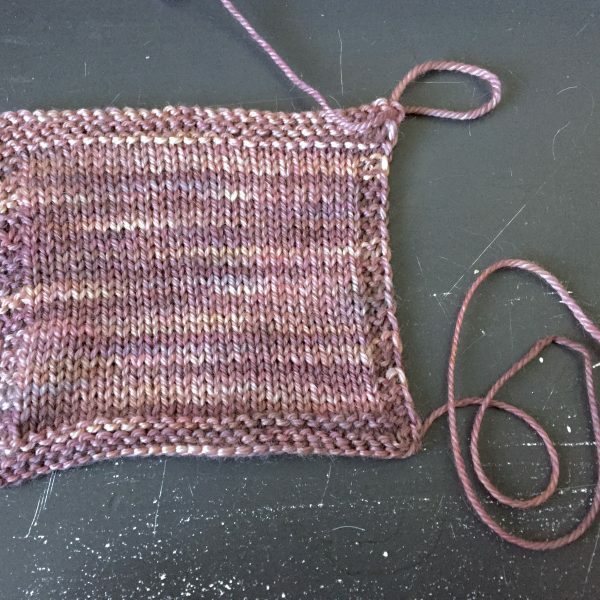 I’d love to tell you all you could knit with this yarn – I’m sure it would make wonderful sweaters or hats – but to show the colors and the luxury of the blend I can’t think of anything else than a shawl or a scarf. It’s also so soft, it would be a shame not to wear it close to the skin!